Whether it's in-season or off-season, you can escape to a paradise island where sunny beach vibes are present for all seasons. Indeed, that is all possible when you bask in the sounds of rock n' surf veteran artist Jimmy Buffet. 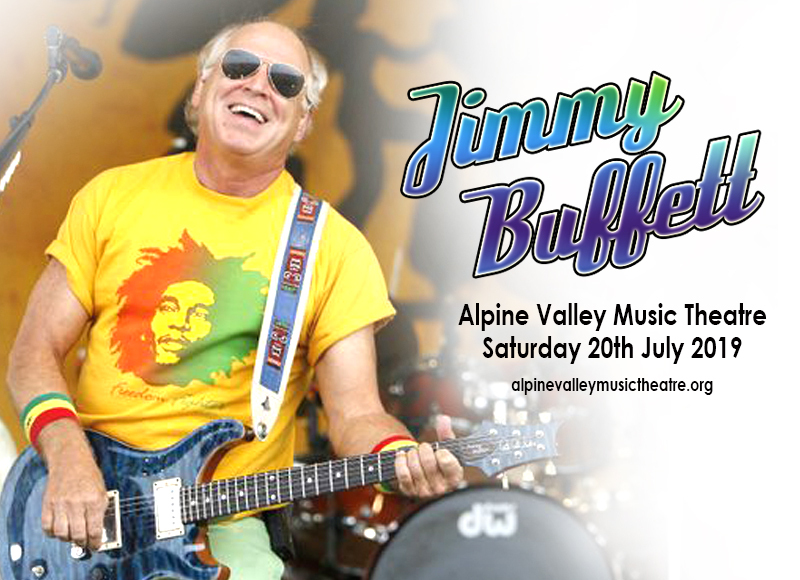 Get a taste of what its like to indulge in vitamin sea as Jimmy Buffet sails and docks at the Alpine Valley Music Theatre on Saturday 20th July 2019, to deliver his catchiest all-time Gulf and Western hits. Don't get the wrong idea, but his massive followers are not beach bummers who will just sit and watch those show tickets get sold out. Join them as they dive and swim to catch tickets to the show. This show is definitely a catch. Get your tickets now! His career began in the 1960s when he moved to Nashville as an aspiring country singer. After years of traveling and busking around, a pivotal change happened when he landed at the Key West in Florida. He fell in love with the sunny laid-back lifestyle and delved on songwriting that reflected the new course of his music career. From there he has released several albums which include "A White Sport Coat and a Pink Crustacean" (1973) and "Changes in Latitudes, Changes in Attitudes" (1977), which spawned his certified classic hits like "Margaritaville", "Come Monday", and "It's Five O'Clock Somewhere". Jimmy Buffet is a certified gold and platinum album hitmaker. Over the years, he has served an overflowing buffet of rock and surf music that generations upon generations of music lovers can't get enough of.